In early December I posted a story on the Man in the City project. 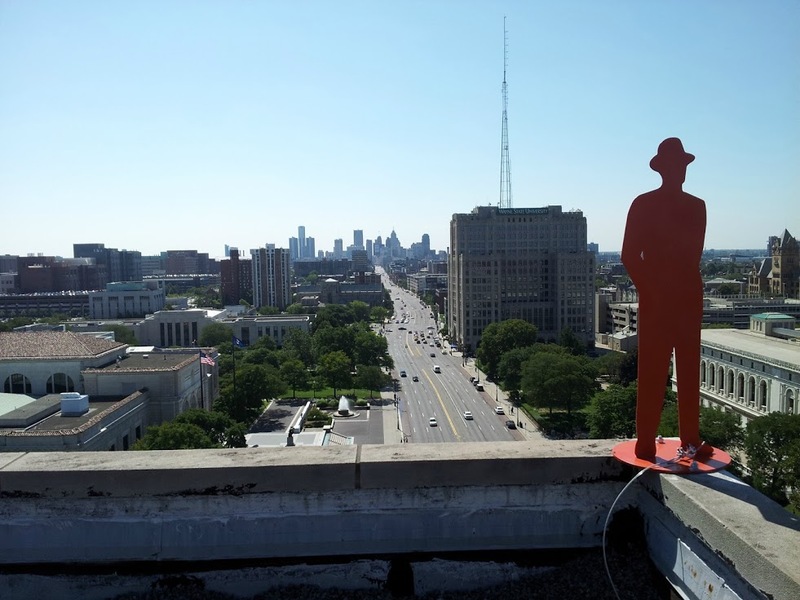 It’s a sculpture installation made of 43” metal orange men placed on various rooftops in midtown and downtown Detroit locations. John Sauve is the artist behind the venture. 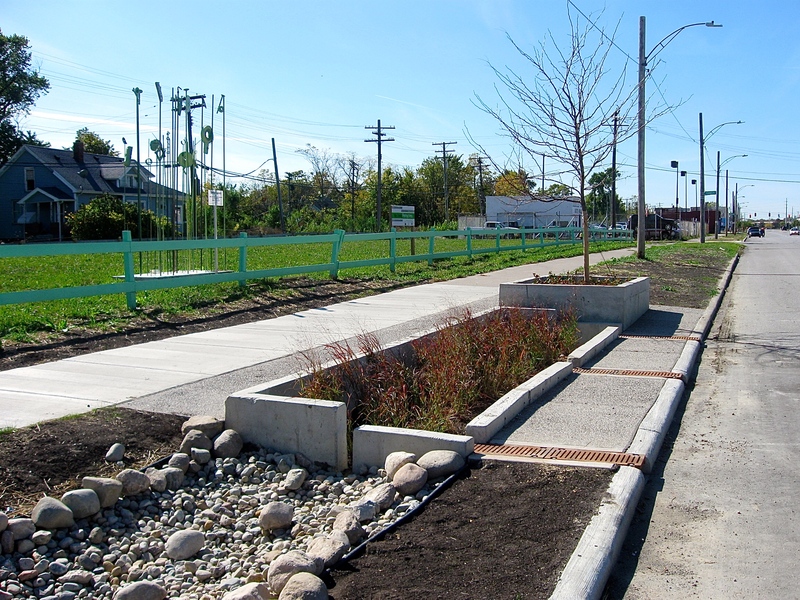 He started putting it together back in 2008 to, “…activate the skyline, and encourage people to look around”. 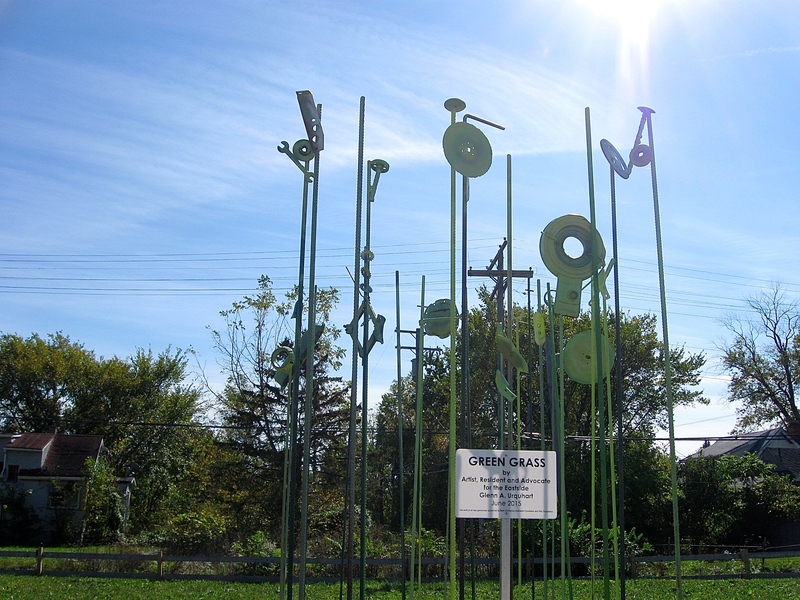 Not only have the distinct sculptures become part of the Detroit skyline, they have been exhibited in Benton Harbor and Milford in Michigan, as well as New York City and many other locations. While talking with Sauve about the project, he told me there are 20 of the sculptures in the city of Detroit. On my earlier bike rides I’ve spotted six of the installations. 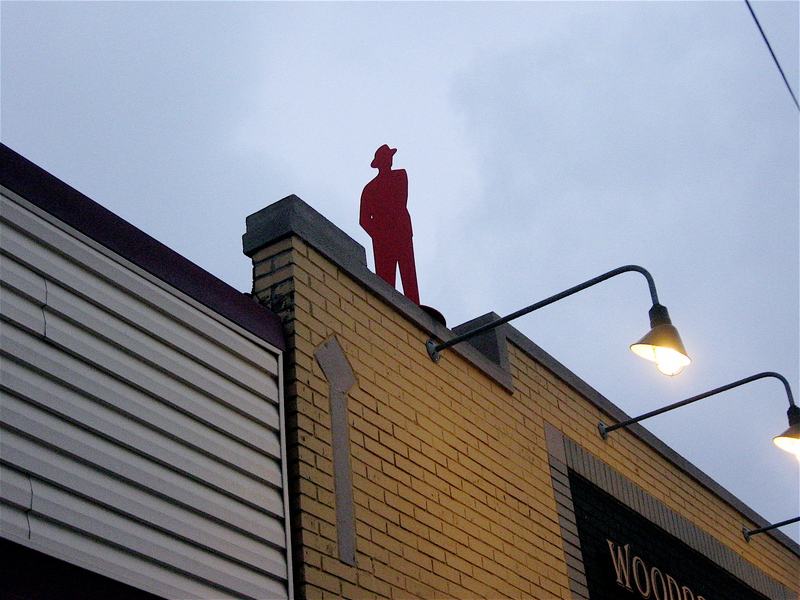 Since writing the original Man in the City blog entry in December, I’ve spotted two more of the figures: one in Detroit’s Historic Eastern Market; the other on the roof of the Woodbridge Pub near midtown Detroit. Knowing there are many more throughout the city, I asked readers in the December entry to post locations for those they may have seen in their travels. 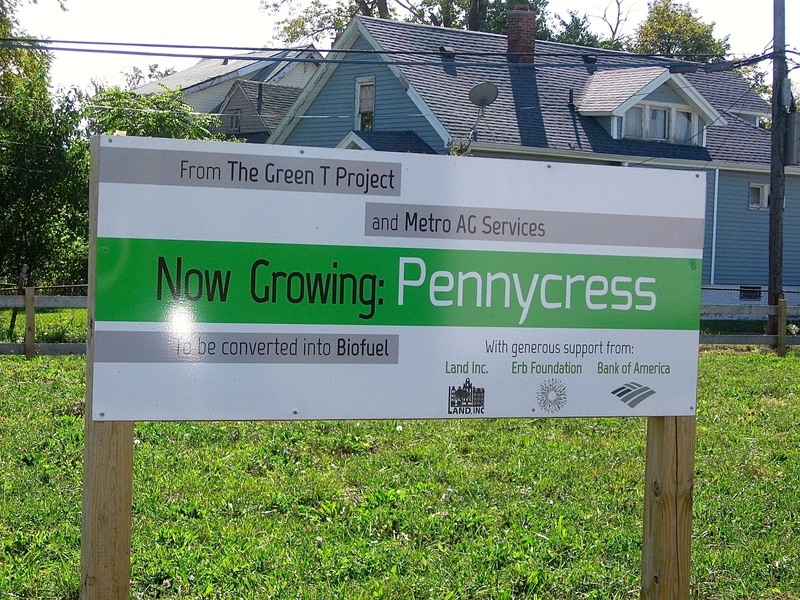 In addition to the places I posted in that earlier blog entry, readers have spotted them in the Eastern Market area, on a building along Michigan Avenue near Brooklyn Street, the Detroit RiverWalk near the carousel, on Woodward Avenue in Ferndale, and one along I-96 near Milford Road that stands 30’ tall. 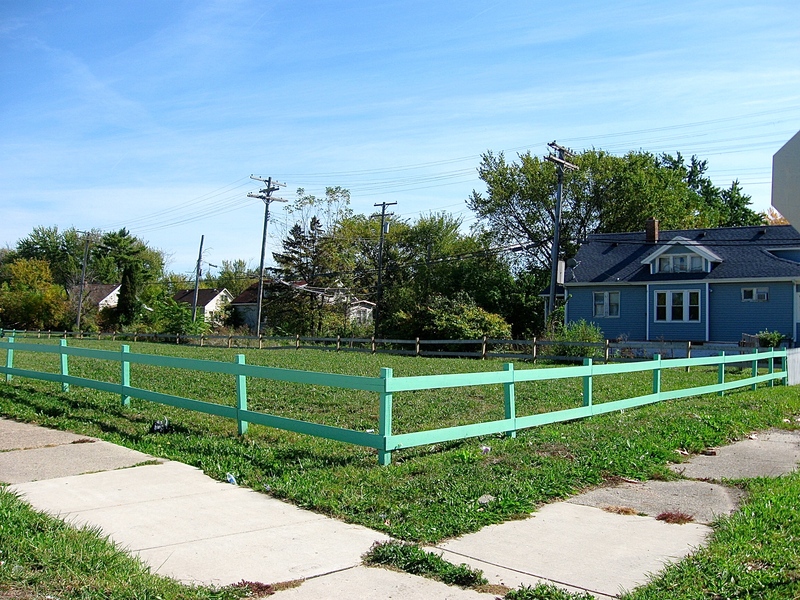 However, there are plenty more placed throughout Detroit. Take a look at the map and the RiverWalk piece found within the links below. There you will see where the Man in the City sculptures can be found. Remember travelers; look up while in Detroit. You may see a little orange man watching over you! Click here to read the the original Man in the City blog entry. Hey Detroiters, look up! 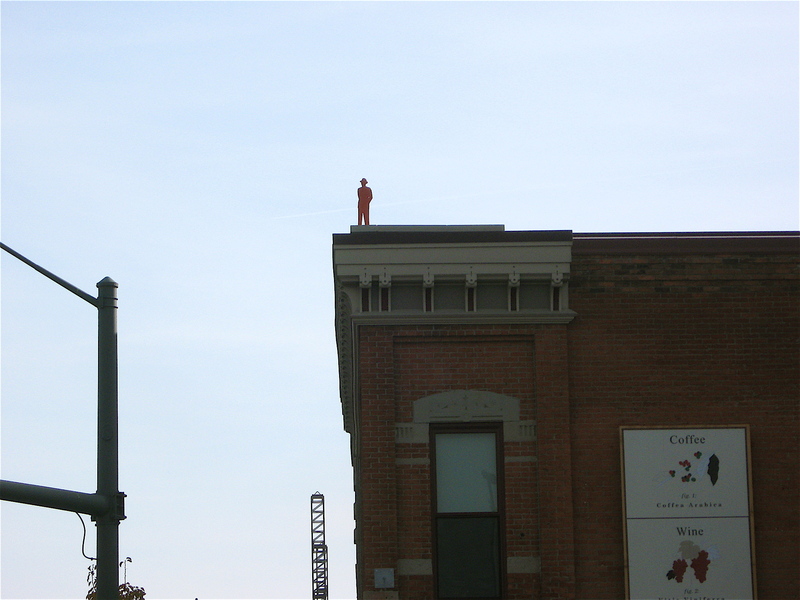 Lurking above you on various city rooftops are orange men and they are watching you. “Who are these men and why are they up there?” one may ask. 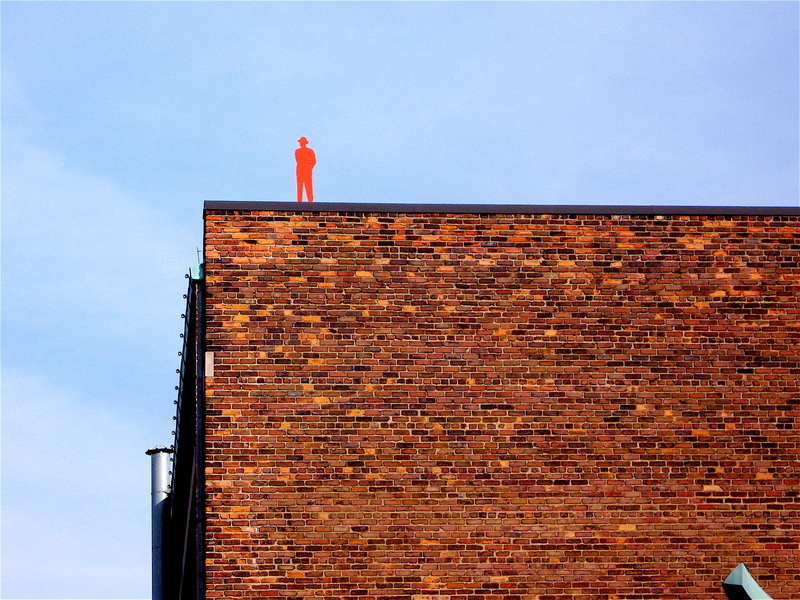 The orange men are sculptures, and over 20 have been placed on rooftops throughout the city. John Sauve is the artist behind the pieces and he started the project in 2008. He calls it “Man in the City”. Not only are the steel sculptures now part of the Detroit skyline, they have also been exhibited on New York City’s Highline, an elevated public park built on a historic freight line, similar to Detroit’s Dequindre Cut. They’ve also been on display on New York City’s Governor Island and in Benton Harbor Michigan. The first time I saw the orange sculptures, I was blow away by the idea. I think these little four-foot or so, orange guys, that for some reason remind me of Leonard Cohen, are the coolest and one of the most interesting art projects I’ve seen in a while. I love the simplicity, uniformity, and casualness of the figures. I also like how and where they are placed, as if they are on the edge of our lives, watching over me and us as we travel throughout the city. But most of all, I like the idea of being challenged and encouraged to stretch my view beyond what is directly in front of me; to look past my immediate surroundings and discover what the city’s urban fabric has to offer. On my bicycle rides around the city I’ve spotted six of the 20 installations, mostly in the city’s mid-town area. 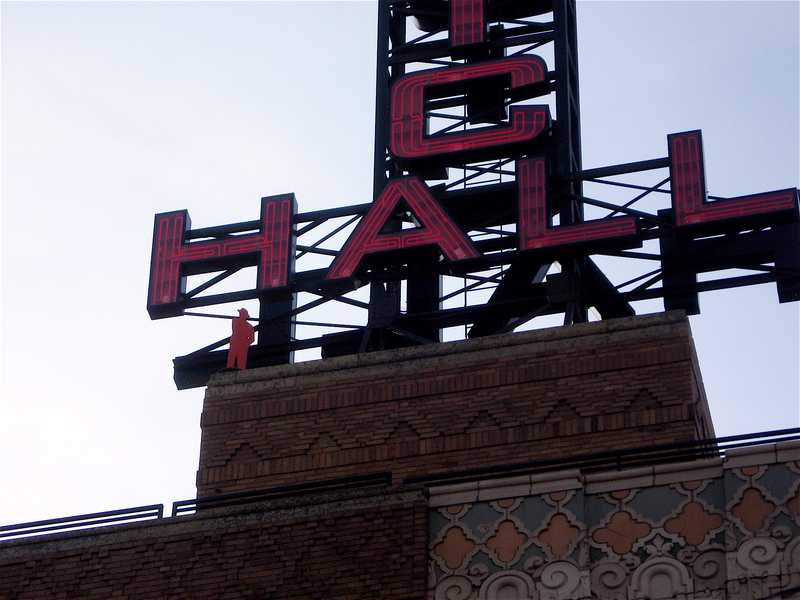 I saw them on the roofs of the Scarab Club, Detroit Artist Market, Majestic Theater, Great Lakes Coffee Roasting Company, Music Hall and the Park Shelton buildings. 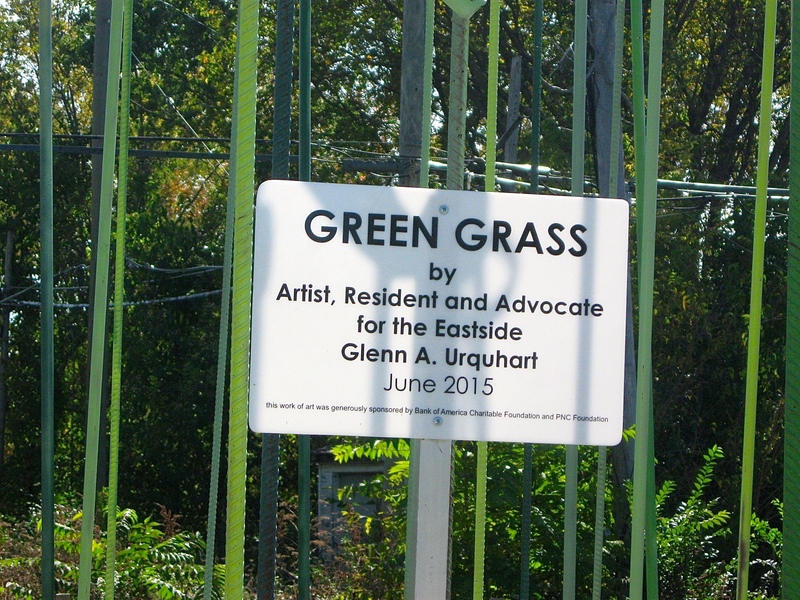 There is also one at ground level in the Lincoln Street Art Park near Trumbull Avenue and I-94. Since discovering them a few weeks ago, I’ve had a conversation with Sauve and he’s provided me with a detailed map of the Detroit locations. Before I post the map, I’d like to know if anyone has seen the Man in the City sculptures. If so, I’d like to know how many, where you saw them and to please post your list in the comments section of this blog. I plan on writing a follow-up story to this one in a few weeks that will include reader comments and a link to the locator map. So please post those locations and stay tuned for the follow-up! 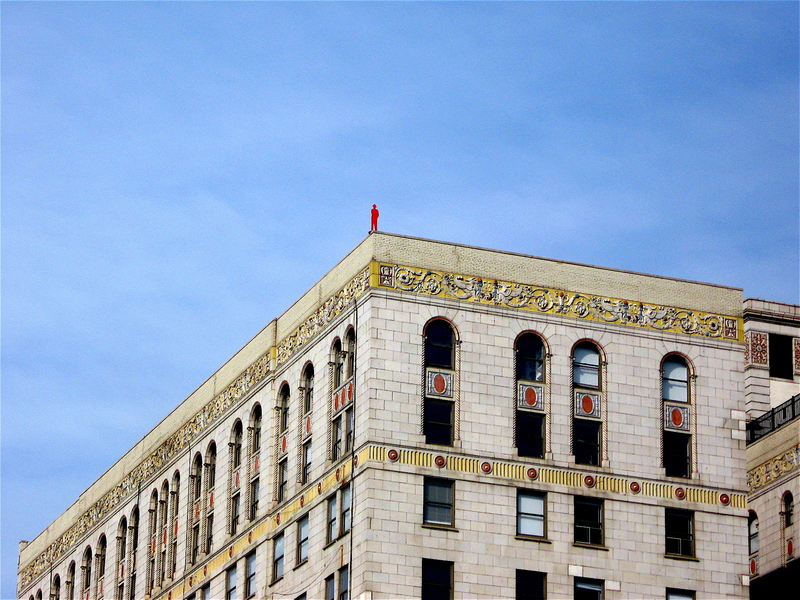 In the meantime, look up while in Detroit!